Dr. Truc T. Mai is committed to providing the highest standards of quality cosmetic dentistry to his patients. As a master craftsman and dental artist he has renewed and created beautiful smiles for his patients. He actively seeks out the newest technologies, best materials, and latest techniques available in the industry today in order to incorporate them into his practice. Dr. Truc believes his outstanding education and training forms the foundation on which enables him to treat all of your dental needs with confidence and trust providing the best care possible. Dr. Mai received his Bachelor of Science degree from University of California, Irvine in 1993. He went on to receive his D.D.S degree from Tufts School of Dental Medicine, Boston in 1997. 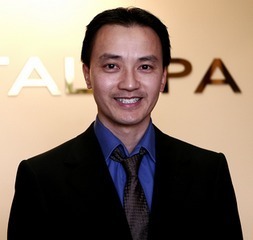 Dr. Truc has completed many hours of advanced post graduate training allowing him to stay up to date with the latest training and techniques. He can provide you with the most technologically advanced treatment available today. Dr. Truc is the father of two beautiful daughters. His interests include spending time with his wife and daughters, photography, football, and sports cars.